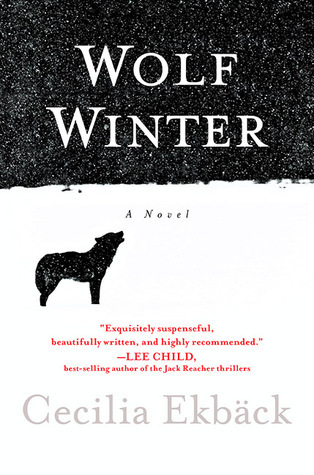 Cecilia Ekbäck’s Wolf Winter is one of those novels that tries to balance a real life crime with supernatural elements, like most of what I’ve read by Jennifer McMahon. And like Jennifer McMahon’s novels, it’s….mostly successful. Set in Swedish Lapland in 1717, Maija, Paavo and their daughters Frederika and Dorotea have arrived at a new homestead, hoping to find more success than they did in their native Finland. Soon after moving to the mountain, they realize that the land is not as prosperous as they had been told. They work to scrape out a living, until one day when their daughters stumble across a corpse in the woods — one of their neighbors. Some people insist that he had been attacked by a wolf, but Maija believes otherwise. And in such a small group of people, how could the killer not be one of the neighbors? The author gets major points for a creepy setting — even the Overlook wasn’t as remote as a Swedish mountain in the 1700s. But the supernatural elements — primarily, the ghost of the dead man follows Frederika and attacks her — never quite gelled for me. I always expect novels that don’t fully dive into the supernatural to somehow explain everything rationally in the end. So maybe that’s just me, but the lack of a resolution to that plotline (was he really a ghost? or was Frederika losing her mind?) frustrated me. Also, the identity of the bad guy was pretty damn obvious. Share the post "‘It’s the kind of winter that will remind us we are mortal,’ he said. ‘Mortal and alone.’"